When is an April 1 news story not a prank? Apparently when it’s about a donations for parking citations program. University of Florida President W. Kent Fuchs announced a donations for citations program on April 1, and many students and faculty thought it was a prank. But yesterday, he announced on Twitter that nearly 2,000 parking citations had been exchanged for more than 9,000 donations of food. We think that’s pretty awesome and way better than an April Fools joke! Read the whole story here. 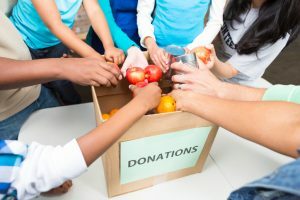 Ready to run your own charity program? Get details and great ideas here.